Frameworks to choose the best projects in organizations are a dime a dozen. We have our NPV (net present value), we have our customized Criteria Matrix, we have Strategic alignment, we have Risk/Value scoring, and the list goes on and on. In every organization there will a preference for one of these or similar methods to choose where to invest people’s precious time and money. Are all these frameworks good? No, but they aren’t bad either. They all have some potential positive impact, at least when it comes to reflection. They help executive teams reflect on where they want to take their organizations, and how each potential project will help (or hinder) those objectives. However, reality is seldom as structured and predictable as the plans make it out to be. Despite the obvious value that the frameworks above have for decision making, they can’t be perfect because they lack one crucial aspect of reality: feedback. Models lack on critical property of reality: feedback. As soon as we start executing a particular project, we have chosen a path and have made allocation of people’s time and money. That, in turn, sets in motion a series of other decisions: we may hire some people, we may subcontract part of the project, etc. All of these subsequent decisions will have even further impacts as the projects go on, and they may lead to even more decisions being made. Each of these decisions will also have an impact on the outcome of the chosen projects, as well as on other sub-decisions for each project. Perhaps the simplest example being the conflicts that arise from certain tasks for different projects having to be executed by the same people (shared skills or knowledge). And at this point we have to ask: even assuming that we had perfect data when we chose the project based on one of the frameworks above, how do we make sure that we are still working on the most important and valuable projects for our organization? Independently from the decisions made in the past, how do we ensure we are working on the most important work today? This illustrates one of the most common problems with decision making frameworks: their static nature. They are about making decisions “now”, not “continuously”. Decision making frameworks are great at the time when you need to make a decision, but once the wheels are in motion, you will need to adapt. You will need to understand and harness the feedback of your decisions and change what is needed to make sure you are still focusing on the most valuable work for your organization. 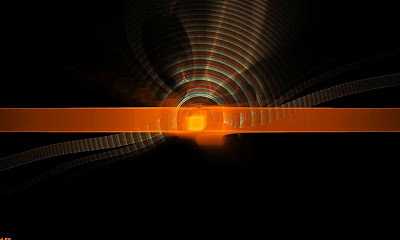 All decision frameworks have one critical shortcoming: they are static by design. How do we improve decision making after the fact? First, we must understand that any work that is “in flight” (aka in progress) in IT projects has a value of zero, i.e., in IT projects no work has value until it is in use by someone, somewhere. And at that point it has both value (the benefit) and cost (how much we spend maintaining that functionality). Can we treat the Sunk Cost Fallacy syndrome? While using the decision frameworks listed above (or others), don’t forget that the most important decision you can make is to keep your options open in a way that allows you to stop work on projects that prove less valuable than expected, and to invest more in projects that prove more valuable than expected. In my own practice this is one of the reasons why I focus on one of the #NoEstimates rules: Always know what is the most valuable thing to work on, and work only on that. So my suggestion is: even when you score projects and make decisions on those scores, always keep in mind that you may be wrong. 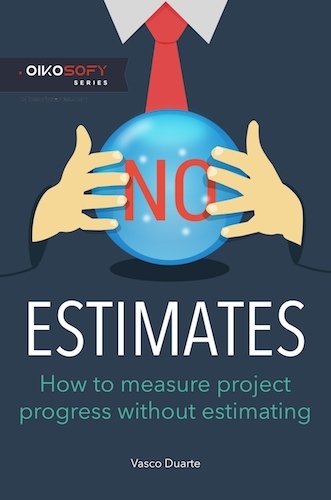 So, invest in small increments into the projects you believe are valuable, but be ready to reassess and stop investing if those projects prove less valuable than other projects that will become relevant later on. a) Portfolio level: by reviewing constant progress in each project and assess value delivered. As well as constantly preparing to stop each project by releasing regularly to a production-like environment. Portfolio flexibility. b) Project level: by separating each piece of value (User Story or Feature) into an independent work package that can be delivered independently from all other project work. Scope flexibility. Do you want to know more about adaptive decision frameworks? 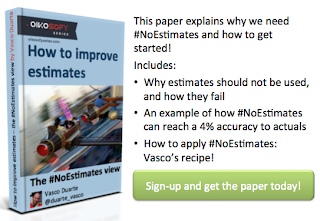 Woody Zuill and myself will be hosting a workshop in Helsinki to present our #NoEstimates ideas and to discuss decision making frameworks for software projects that build on our #NoEstimates work. You can sign up here. But before you do, email me and get a special discount code. If you manage software organizations and projects, there will be other interesting workshops for you in the same days. For example, the #MobProgramming workshop where Woody Zuill shows you how he has been able to help his teams significantly improve their well-being and performance. #MobProgramming may well be a breakthrough in Agile management.